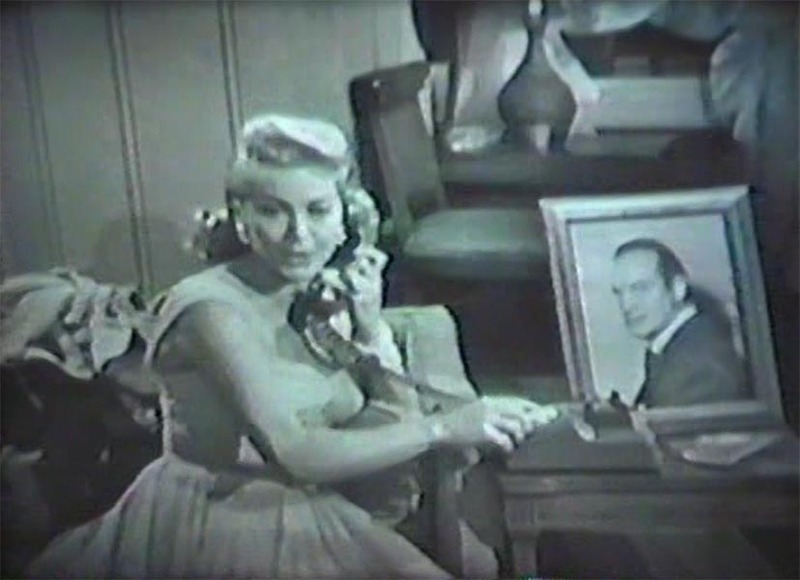 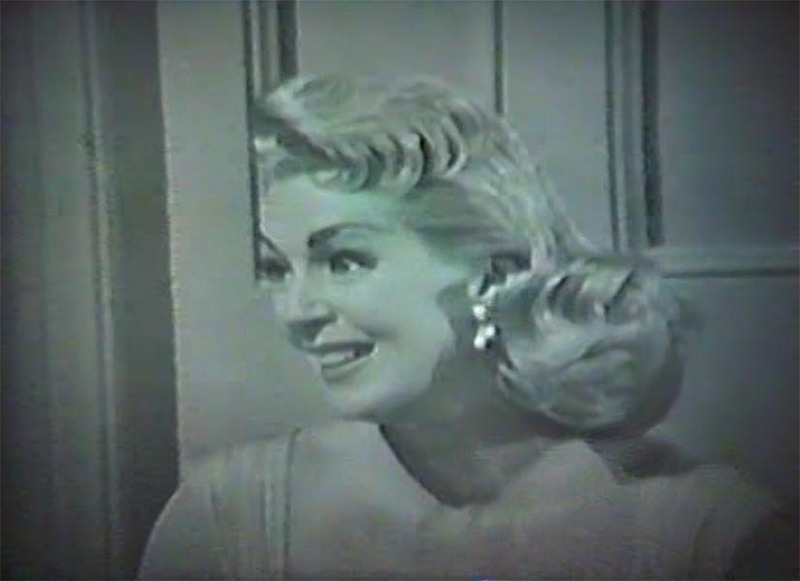 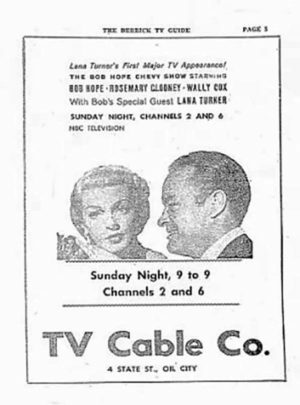 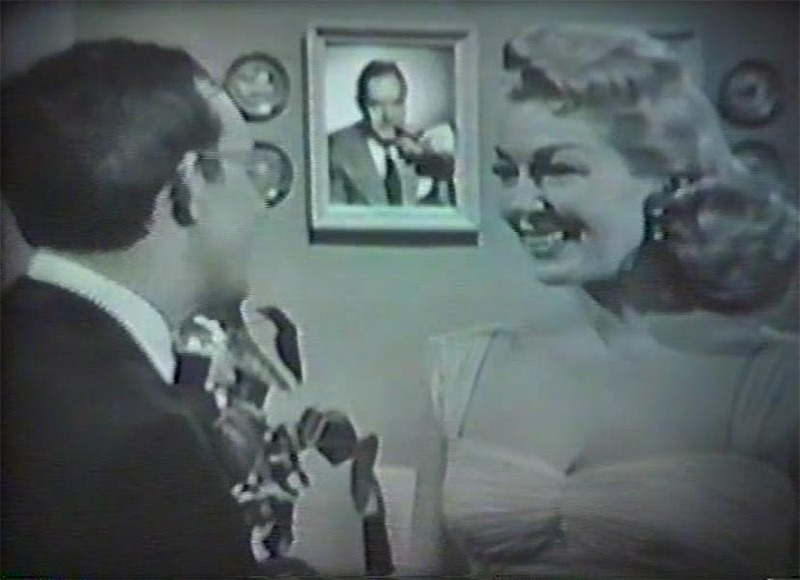 At the 10th of March 1957 Lana Turner was the guest at The Bob Hope Chevy Show. 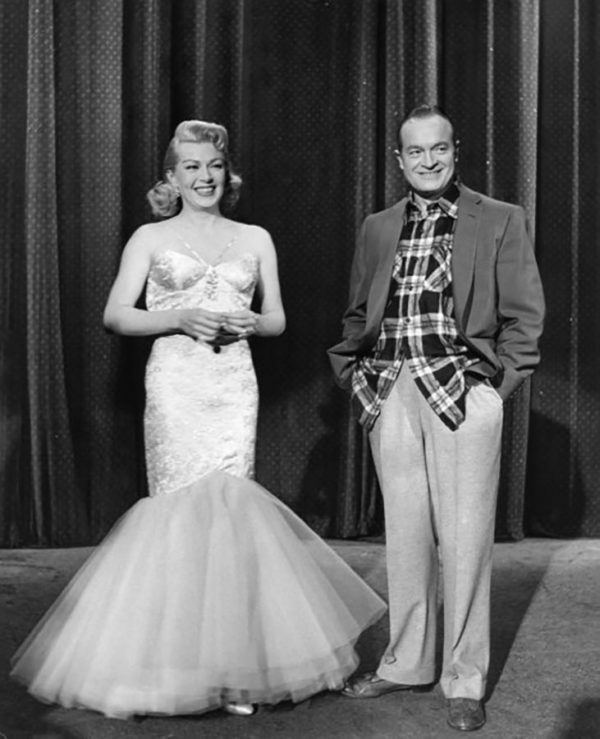 A variety program hosted by Bob Hope. 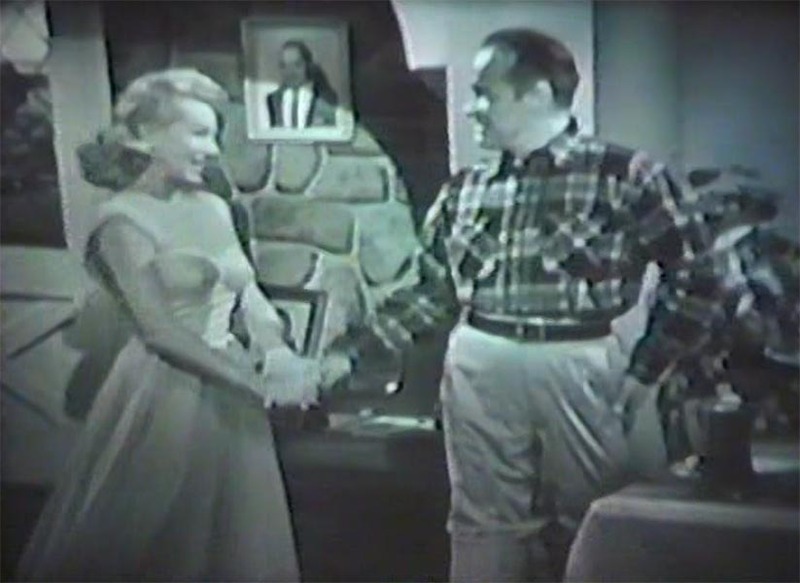 Bubbly guests and skits make this show a delight. 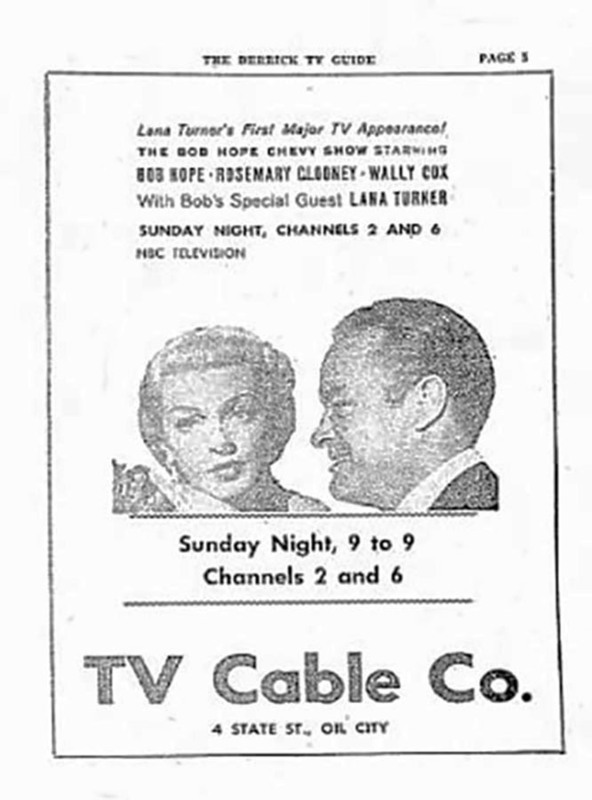 This was one of Lana’s best yet TV apearances. She did a skit called “Playhouse 180” (a play on the popular Playhouse 90 drama series) with Bob Hope and Wally Cox. 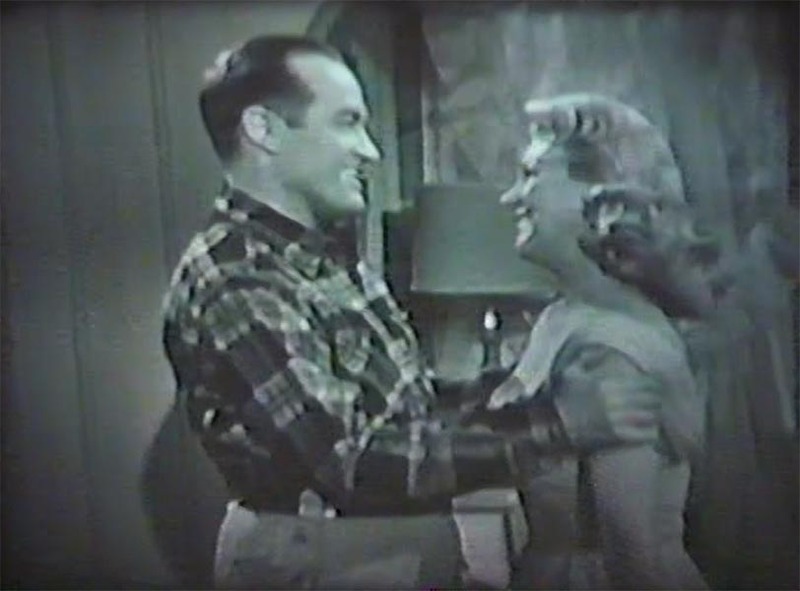 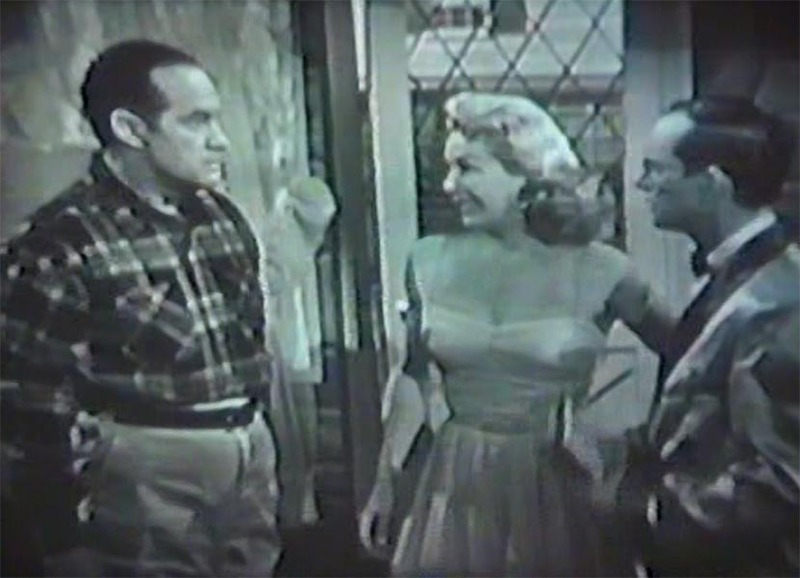 Lana played a woman whose long-lost husband (Bob) returns on the very day she has married another man (Wally). 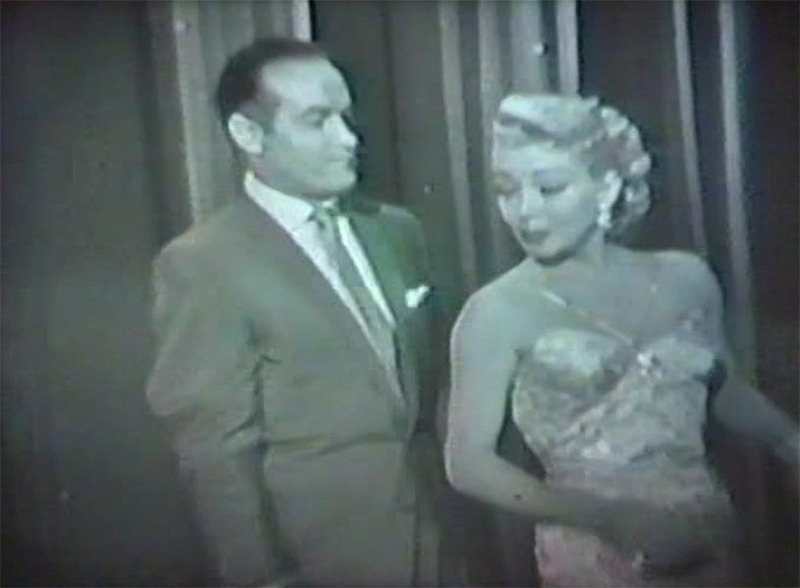 At the end of the show she also did another routine with Bob. 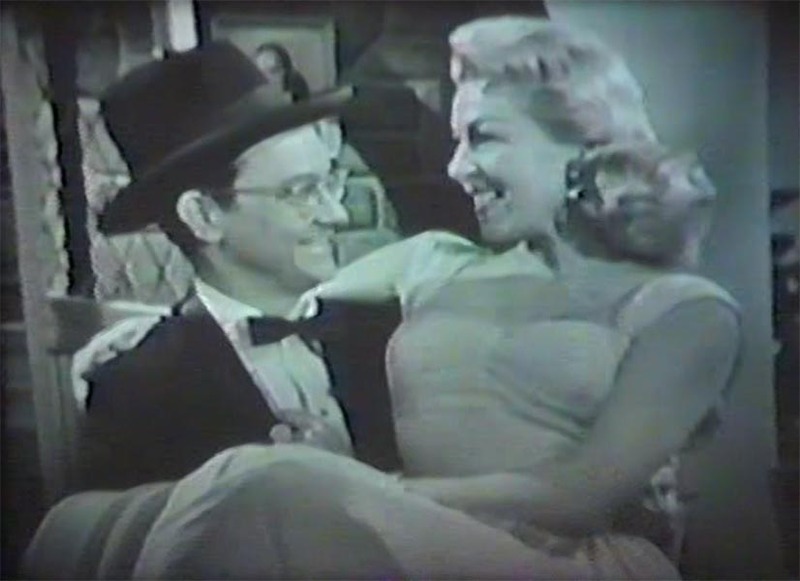 She sang (not dubbed) and danced a funny number about what a star like her demands for a television appearance, including Clare Booth Luce to write the script and Fred Astaire instead of Bob as her dancing partner. 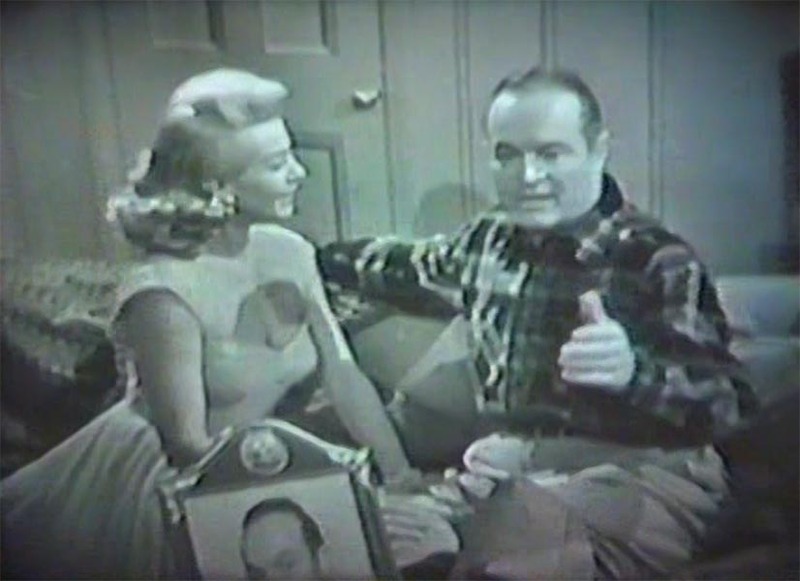 “How did you happen to pick my show for your first TV appearance?” Bob asks. 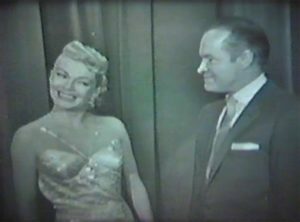 Sources: Paleycenter, from the book “Bob Hope on TV” by Wesley Hyatt and from the Book “Lana The Memories, The Myths, The Movies” by Cheryl Crane.